I Love That Film: That was Rafe Spall in Shaun of the Dead? Am I the last person to realise this? 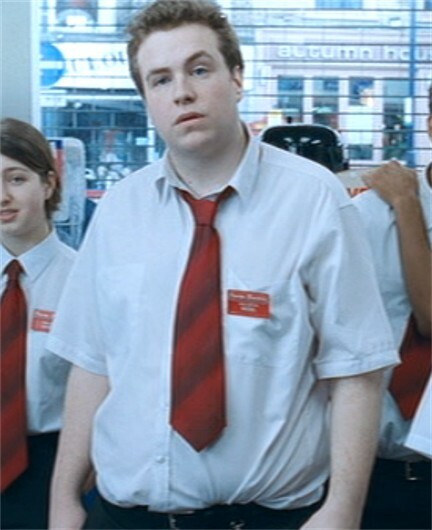 Rafe Spall was in Shaun of the Dead as possibly/maybe the first guy I think to say 'you got red on you' to Shaun. Man he's changed in the last 8/9 years. I swear he had rocking abs in I Give it a Year which I reviewed here (the film, not his abs). Still it just shows he had comedy in his bones right from the start. He's also just been confirmed for a cameo in At World's End after his small roles in Shaun and Hot Fuzz so that's a nice bit of news. That makes two things I've learned today. Did you know that this was Rafe Spall or is this shocking to anyone else?